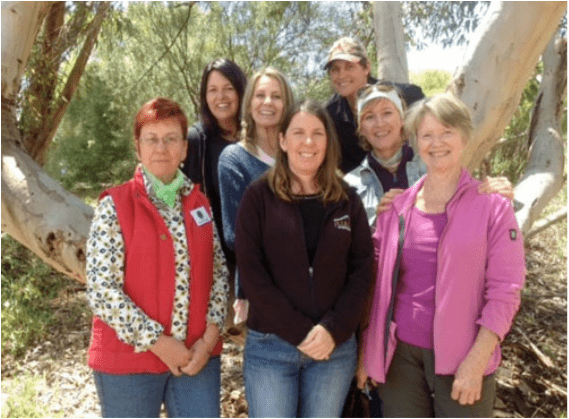 What a powerful group of women – left Linda Matthews, Taryn Lazarus , Micki Magan, Marion Carrick, Caro Exner, behind her Glenys Davies and Janneine Neilson. Missing from pic is Julia McMillan and also Rashida Khan from the Northern Territory who had to stay home feeding and watering stock in the drought and killing the odd croc as well. Linda is a Stockhorse breeder from Kingaroy, Qld, Taryn is a Friesian breeder from Qld’s Sunshine Coast, Micki Magan is a corporate high flyer from Sydney, Marion runs boutique villas at Stanthorpe, Qld, Caro is a qualified barefoot trimmer from Margaret River, WA, Glenys is a racehorse trainer and equine sports massage therapist from Pinjarra, WA, and Janneine is an Equine Emmett therapist from Campbelltown, SA. This is just a snapshot of their extraordinary talents and passion for natural healing for horses. 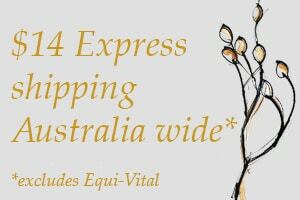 The workshop was held at Tilling Hill Equestrian Centre at Echunga in the Adelaide Hills which was a great venue with quite a few agisters kindly bringing their horses for holistic assessment by the students and myself. A big thank you to Jo Burrows (CJ), Maree Heading (Noah), Tahlia Witten (Chino), Lisa Tihverainen (Ody & Stansby) & Debbie Hawkins (River). Also to long time client Naomie Manouge for bringing Buzz & Whiskey. Not to forget Maria’s Kitchen catering for providing wholesome & delicious vegetarian and gluten free food for us all. The horses presented a good cross section of breeds and types from Quarter Horses of different crosses to Thoroughbreds and a lovely young Irish Sport Horse, and there was a lot of interest from the owners in my approach to natural feeding. It was wonderfully refreshing to spend some time in the company of this fantastic group, especially in the beautiful countryside of the Adelaide Hills. Returning to horse care after a long break can be quite daunting, so much had changed in my absence and I was conflicted at the time about what advice was most sound for my precious horses. A Remedial Therapist and student of Naturopathy I felt that the most sensible approach was to embrace my natural philosophy of healing and search for the same for my equine partners. I can honestly say that Victoria Ferguson has become my guiding light during my quest for knowledge in natural horse care. Victoria has shown me the importance of returning to nature for the answers to all my horses health and dietary needs. As a student of Victoria’s I have enthusiastically embraced her method of natural care using herbs and natural whole foods, my horses are shining examples of health and contentment. Victoria’s passion for her work is tireless and her devotion to her students and the school she has nurtured is evident in her respect and support for her students. Victoria has been wonderfully supportive to me during my journey, she has become the engine that drives me to succeed and believe in myself as a future practitioner of equine herbal medicine. I have learnt so much from the lessons and have had many opportunities to put my knowledge into practice with my own and others horses over the past couple of years. Victoria has shared the pearls of her wisdom and opened the doors of opportunity to me.. I couldn’t be happier. Growing up with horses in my life I have always had a great love for them and their needs. For as long as I can remember my father would advise us on the quality of feed that was a necessity for keeping healthy horses and he was completely committed to natural feeding. I believe it was through this way of feeding natural unprocessed feeds that our horses always stood out in the show ring, not only did their super healthy appearance capture your eye but the behaviour of all our horses was impeccable. Our horses were healthy inside and out. I have continued this way of feeding and have grown more and more interested in the herbal side of things for my horses as well as myself and family. I wanted to learn more about natural feeding and utilising herbs in my everyday life. I am half way through Victoria’s Equine Herbal Medicine Practitioner course and I am absolutely loving it. It has put a whole new light on caring for my horses. It is thorough but also teaches you the simplicity of keeping horses when you have the right approach. Victoria is a great teacher, she is down to earth and very approachable. I don’t believe you will find a better teacher that has had the experience that Victoria has behind her. When I first spoke to her over the phone I knew I could learn from this lady. I have attended a workshop weekend with other practitioner students, which I can say was extremely valuable to my learning. I really would recommend this course to horse owners that want the best for their horses, you won’t be disappointed.